Smith and Knapp, Together Again. Browse: Home / Smith and Knapp, Together Again. Jim Smith and Pat Knapp to Lead Fairport Partnership for a Better Community. Jim Smith, long-time Perinton Town Supervisor who retired from that role at the end of 2013, has been elected president of the Fairport Partnership for a Better Community/Fairport Foundation (FPBC/FF) by the organization’s board of directors. Pat Knapp, who retired from the Perinton Town Council in 2013 after three decades of service, has been elected vice-president. The board also re-elected Kim Guida as secretary of the FPBC/FF, William Harris as treasurer of the Partnership and Bob Hunt as treasurer of the Foundation. Gian-Paul Piane, who has served as the FPBC/FF president for the past three years, was elected an at-large member of the FPBC/FF executive committee. Established in 2000, the Fairport Partnership is an independent, multi-disciplinary organization of volunteers who provide an array of professional services to the Fairport/Perinton community, including architectural design and planning, marketing, promotions and public relations. The Fairport Foundation, established in 2011, serves as a not-for-profit fundraising organization for the Partnership and its many community projects. Jim Smith, a life-long Perinton resident, served the Town government for more than four decades, including 30 years resident as Supervisor (1983-2013). Under his guidance, Perinton became known for its innovative open space and agricultural preservation programs, its carefully planned growth and its fiscal prudence. During his tenure, Perinton was named a “Trail Town USA” and was twice honored as one of the “Top 100 Best Places to Live in America.” After his retirement, the Perinton Town Hall, Community and Aquatics Center were re-named the James E. Smith Center. Pat Knapp, also a life-long Perinton resident, was a member of the Town Council from 1981 through 2013 and shared Smith’s passion for the projects and practices that make Perinton one of the area’s most favored places to live and work. In 2014, the Amphitheater at Center Park was named in Pat’s honor as the Patricia S. Knapp Amphitheater. 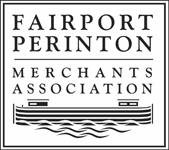 More than 70 Fairport and Perinton residents serve as volunteers on various standing committees of the Partnership, meeting monthly to focus on areas of local economic development including design, outreach, promotions and economic restructuring. Hundreds more volunteers participate in Partnership projects and events, including members of the Fairport Rotary Club, Perinton Historical Society, and Fairport-Perinton Merchants Association.